My first trip to the Miramichi River was during an autumn plagued by low water. I was fortunate enough to hook a dark, multi sea winter salmon on my first evening of fishing. Long story short...I blew it and lost the fish. I sweated out the next five days without a pull. Fortunately, hurricane Kyle was just about to blow into town and a good shot of rain got the fish moving. I hooked three grilse (one landed) the next morning, which was a relief, but I was disappointed that my two sea winter salmon had escaped. In terms of weather, the next year was even worse. It was a very dry summer. I remember it was an easy summer for mowing the lawn. I barely had to do it past June. 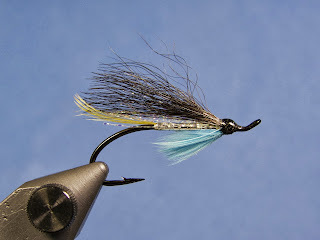 My friend and salmon fishing and fly tying mentor Dave Goulet, former owner of New Hartford, Connecticut's Classic and Custom Fly Shop, saw the writing on the wall and warned me that we both would be facing difficult conditions that fall (he arrived at his camp near the end of my week). 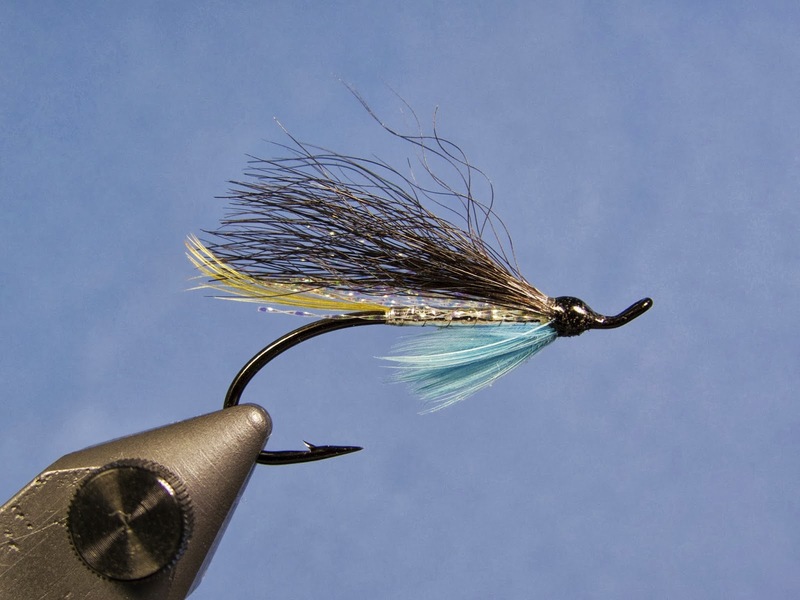 Earlier that year, Dave gave me a list of eight fly patterns he recommended for autumn fishing on the Main Southwest Miramichi. Around the beginning of September, he amended the list with three additional flies, all specifically for challenging low water conditions. The one he had the most faith in was a fly known as the M1 Killer. According to Dave, the M1 was created in the early 1990s by his friend Steve Messier. 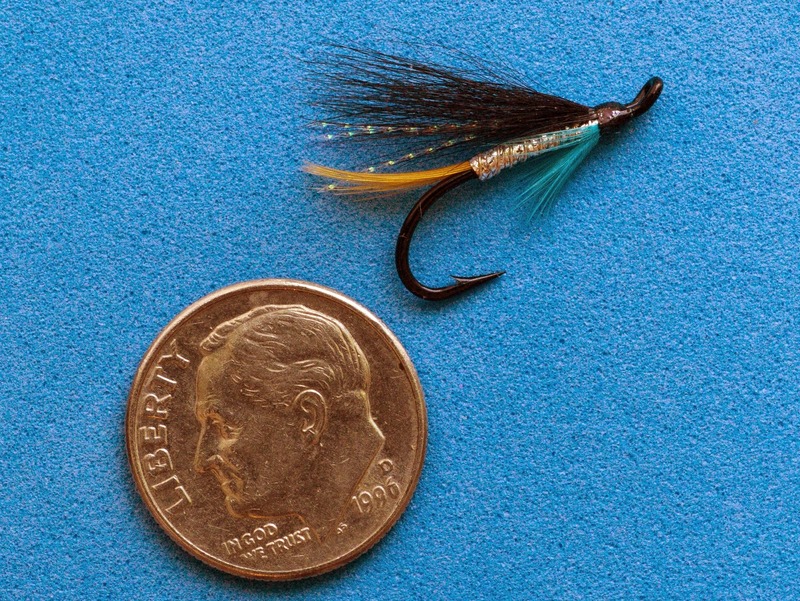 It was loosely based on the Supervisor, a classic Maine streamer pattern. Originally, the M1 Killer had a green throat, but they ultimately found a light blue throat to be more successful. Dave instructed me to tie some M1s on size 8 and 10 double hooks. I did as I was told and had a couple of each in my fly box when I arrived at camp. The water was much lower than the previous year and we were not optimistic. I remember asking our guide if he knew of any golf course ponds we might be able to fish instead. On the second day of the trip, just before it was time to come in for lunch, I decided to give the M1 its first swim on the end of my line. I was fishing a gravel bar on the near side of the river under a bright midday sun. I reached the end of the run and said to myself, "Ah, just one more cast." That was the one! A shadowy fish plucked my #10 M1 Killer from just under the surface and we were off to the races. I hollered for our guide to bring the net. The salmon was neither huge nor was it fresh, but I knew it wasn't a grilse and I didn't want to lose him. The Miramichi hookbill was safely landed, photographed and released. I was both excited and relieved. Little did we know it was the only action anyone in camp would see for the entire seven days. It was a tough week for fishing. Even heavy midweek rain didn't raise the river enough to bring fish in. We really should have found those golf course ponds! It didn't matter to me though. I might have only caught one salmon that week, but I was still sitting pretty, especially given the state of affairs at that time. Since then, I'm never without a few small M1 Killers, just in case. I tie mine a with a couple of material substitutions. The body of mine is flashier, but is offset by having less flash in the wing. To help reinforce the body, I often take more than the traditional five turns of ribbing when tying over tinsel (à la Belarmino Martinez) or braided body materials. I have found the flat braid body to be very durable.